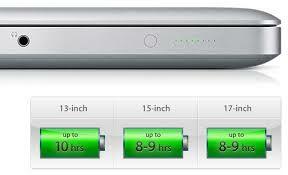 MacBooks have an incredible battery life, Lespecially the MacBook Airs. 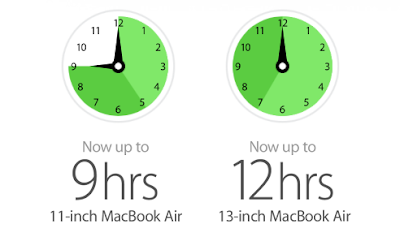 The 11-inch Air lasts for up to 9 hours on a single charge, with the 13-inch model running for up to 12 hours. The 13-inch Pro is also good for 9 hours, with the 1S-inch modellasting up to 8 hours. You can use your MacBook all day before recharging .